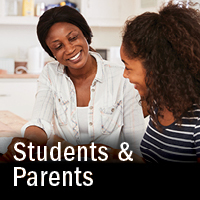 College Credit Plus (CCP) allows eligible students in grades 7 through 12 to earn high school and college credit during summer, fall and spring semesters that will appear on both their high school and college transcripts. The option to take courses at a Tri-C® campus or at your high school (if offered through your district). Ability to earn free college credit while completing high school requirements — a tremendous cost savings toward your college education. Courses are weighted the same as AP and IB courses. 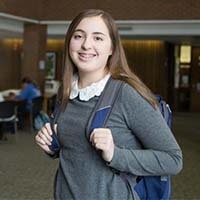 A large selection of available courses and areas of study, many guaranteed to transfer to any Ohio public institution. *Tuition for private school/homeschool students is subject to available funding; books are not covered. More information is available on the Students and Parents channel and the Ohio Department of Education website. 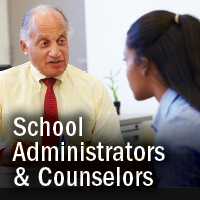 New and continuing CCP students must discuss enrollment with their school guidance counselor and parent to determine if CCP is right for them. Private and public school students must submit a CCP Intent to Participate form to their high school no later than April 1. The Family Educational Rights and Privacy Act of 1974 and associated federal regulations set forth requirements designed to protect the privacy of student education records. The student must complete a FERPA release form in My Tri-C Space to allow a parent access to their educational record no matter the age of the student. If you qualify for AP credit please send your official scores for an evaluation. It may take 5-7 business days for credit to be awarded. To have your scores sent to us, go to the College Board website. For more information on the College Credit Plus program from the state of Ohio.